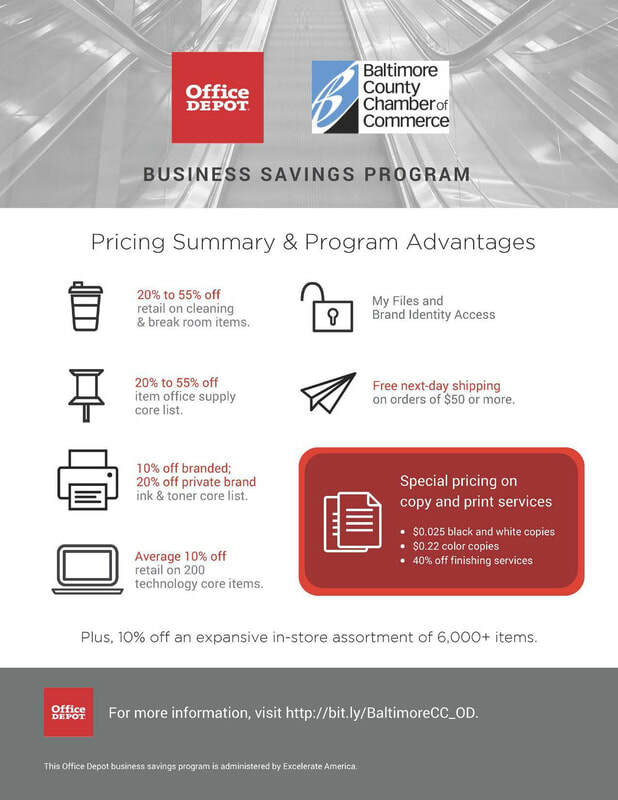 As a chamber member, you can take advantage of the Business Savings Program with Office Depot. 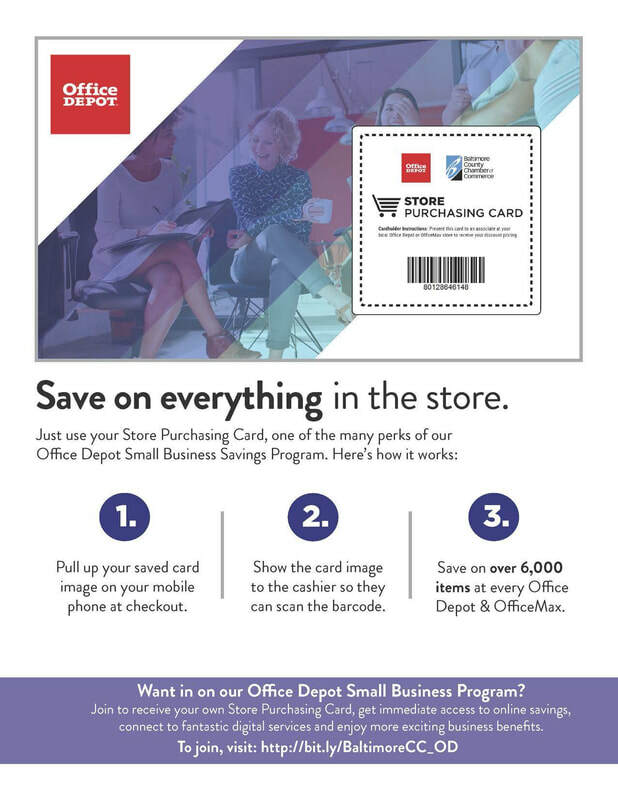 Office Depot has several locations throughout Baltimore County. Just make sure to show your purchasing card at checkout.